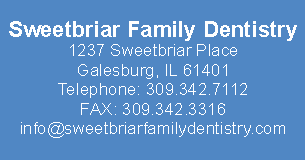 Carol Martin is a registered dental hygienist. She received her degree from Illinois Central College in 1978. She has been with our office since March 2016. Carol has spent a lot of time volunteering her dental services throughout the world. Outside of the office she enjoys traveling, biking, hiking and spending time with her family.